Samsung’s next Note-series flagship, the Galaxy Note 9, is all set to be unveiled on August 9, but just a few weeks before its official announcement, alleged live images of the Galaxy Note 9 have been leaked. The Galaxy Note 9’s live images were shared by a tipster with the username lajotatech on Instagram, and they show the design of the upcoming Note flagship from the rear as well as the front side. The Galaxy Note 9’s leaked live images show the device sporting a familiar dual glass design with curved edges, a dual rear camera set-up and a fingerprint sensor placed below it. The device’s screen shows that the Galaxy Note 9 will carry the model no. SM-960U. The leaked live images of the Galaxy Note 9 look exactly the same as the press image of the upcoming device which was leaked a few days ago, courtesy of ‘noted’ leakster, Evan Blass. The device’s front side flaunts the same immersive Infinity Display, which is a clear indication that Samsung wants to stick with the its signature design element for its flagship smartphones. The only noticeable aesthetic change is that the Galaxy Note 9’s fingerprint sensor will be located conveniently below the rear camera set-up, while on the Galaxy Note 8, it was awkwardly aligned with the camera. 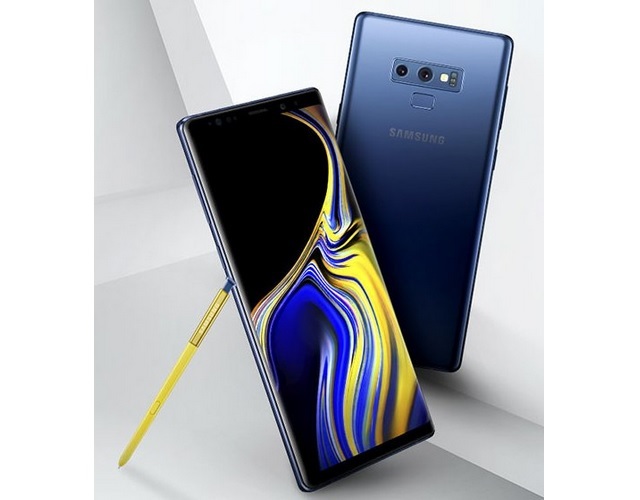 As for some of the Galaxy Note 9’s remarkable features, its upgraded S Pen stylus will come with Bluetooth support, allowing it to connect to the device over 2.4GHz Bluetooth LE, and will also let users control music playback, click photos and do a lot more. 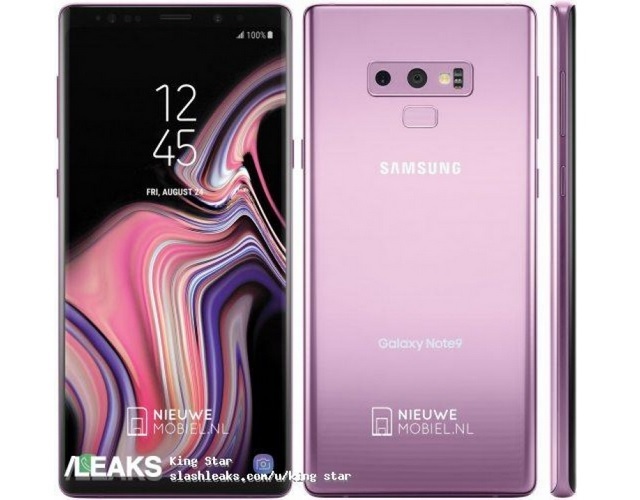 Another render of the Galaxy Note 9 in Lilac Purple has surfaced online today, which shows the same design as the one in the live images. But unlike the new breed of flagship smartphones, the Galaxy Note 9 will preserve the 3.5mm headphone jack and will also come with Bixby 2.0 onboard, which is set to be unveiled alongside the device at the ‘Galaxy Unpacked’ event next month.